Testing is a key step in the process of creating a new product. No matter how good the design, the graphics or the concept behind the product, it first has to prove itself worthy in the lab, before it gets it’s life on the trail. With riders like Nico Vink on our roster, we've got to be 100% confident that our products will last and put up with the punishment that mountainbiking gives them. Testing brings the objective measure to a products capabilities, to give us that 100% confidence to stand behind our components. Most people know that there are various stamps, stickers and logos that appear on products in the EU, like the CE stamp on goods from kids toys to electrical items. These all tell us that the product has been checked out by an expert and deemed to functioning correctly, therefore it can be sold and used for it’s purpose. The problem is with bike components, it’s a bit different, at least in the gravity sector. Products have to pass an standard ISO test which does not fully replicate the real life loads involved in more aggressive riding. 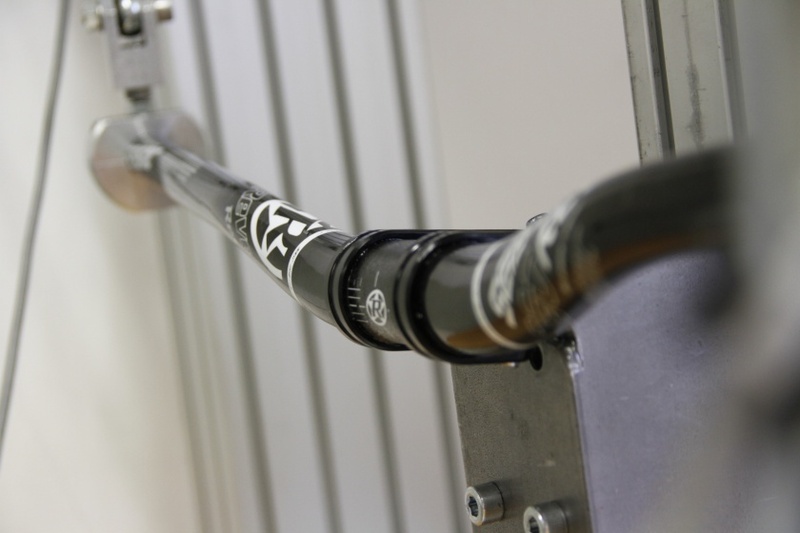 With Downhill, Freeride and Enduro riders going way beyond this, we thought it was important to work with an independent testing laboratory to see what our bars could really stand . This is where EFBE came in. 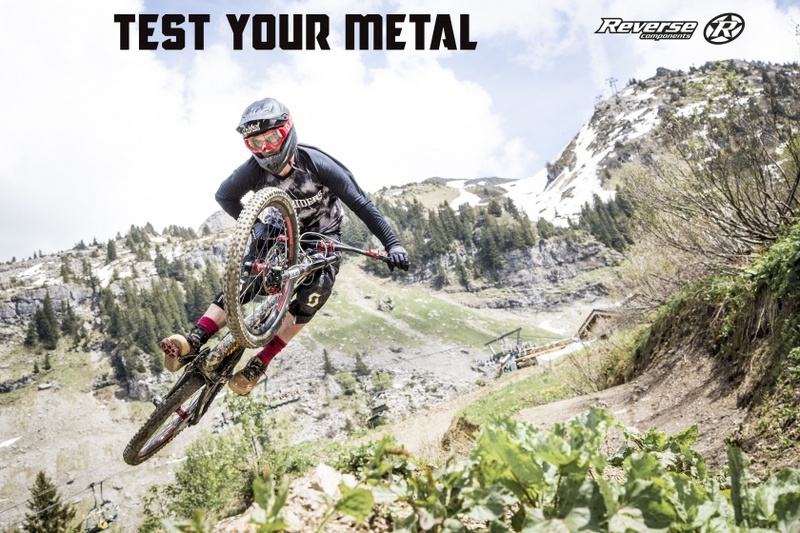 They defined new level of test standard for mountainbike components called Gravity MTB-G. In comparison to the ISO/EN tests, it tests to a much higher standard and takes much heavier loads. But the first step is to know what the real life loads are involved in gravity riding. Above is a still from testing on the famous Bad Wildbad DH track, with EFBE’s strain gages equipped to the handlebar to assess the forces/deformation involved in real world aggressive riding. Click here for the full video. The forms the basis to work from when determining what the lab test standard needs to be. 1. 100.000 cycles inversely phased and 100.000 cycles in phase loads. 2. Maximum load test in line with the intended use. 3. Excessive load test to simulate foreseeable misuse or crashes. Once our products pass these independent tests (and hundreds of hours of real life use from our team riders) - then we get our products made available to the public. Click here to see our Siesmic bars under the EFBE MTB-G testing process. This is in the maximum load stage, so the strain on the bars is the equivalent to heavy landings that cause a degree of flex in the bars! The safety and durability of our products is our priority. We would like to thank EFBE Pruftechnik for their valuable work .